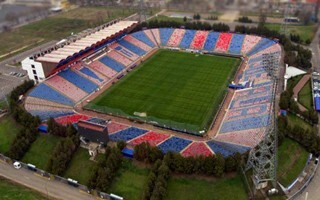 No other way to put it: the new stadium of Steaua Bucharest has suffered from severe cuts. No facade, everything simplified. And yet no cost decrease and it still won't be ready in time for Euro 2020. Legendary second stand is no more, just like the iconic tower from 1939. The main stand is the next to go, while construction of new Rapid stadium is still pending planning permission. 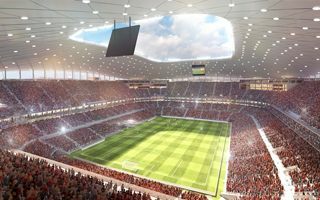 With 14 months until opening, there's not enough time to deliver all of the project ahead of Euro 2020. 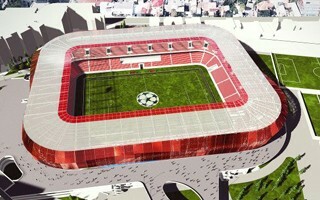 It was supposed to be a Euro 2020 training venue but will barely be under construction by then. Opening is planned in 2021. It's also going to be smaller and built in a different location. Not much left of the 2016 promises. It's a site to behold when you get hundreds of supporters chanting to an empty, half-demolished stadium. 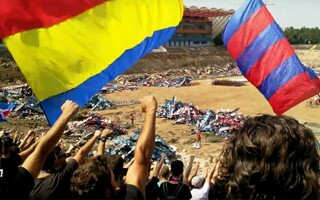 Steaua Bucuresti supporters gave their last farewell as demolition progresses. 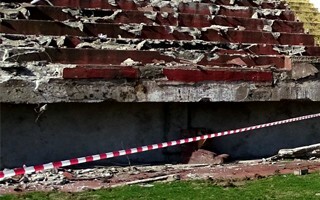 The historic Steaua stadium in Bucharest is about to be demolished. On Saturday supporters will be able to pick up souvenirs of the building, while yesterday officials were given such opportunity. 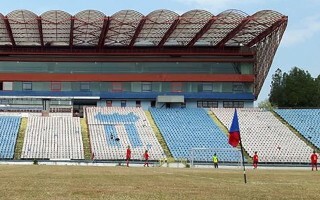 A legendary Romanian stadium is about to vanish this summer, following 44 years of glory, both domestic and international. Now it's time for the stellar successor, though time is the one thing already missing. With Euro 2020 coming ever closer Romania is speeding up the preparation process. 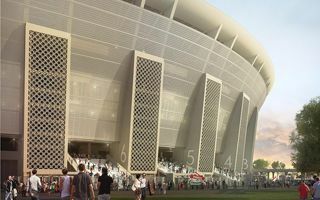 New Rapid stadium may only be a secondary venue and serve training purposes, but it needs to be built in time nevertheless. 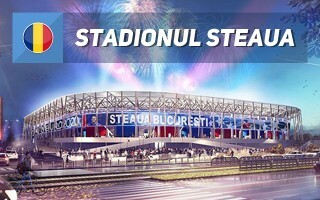 If they really manage to build it with such limited budget, Romania will get one more impressive stadium with limited expense. The funding is secured, concept is here, but will there be enough time? 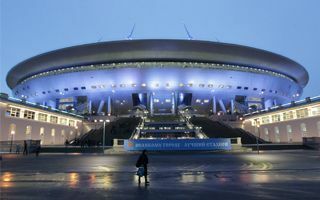 It comes as no surprise: no other company was interested in handling the management of Russia's most expensive stadium. 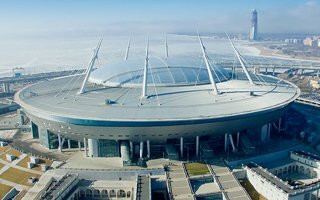 Only Zenit submitted a proposal and will now take care of the stadium for 49 years. The deal is worth... $1. 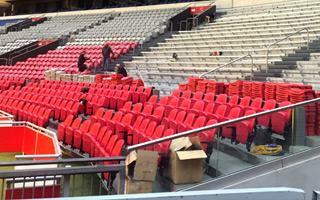 Almost as planned, the last grandstand is being equipped with new, red seats. 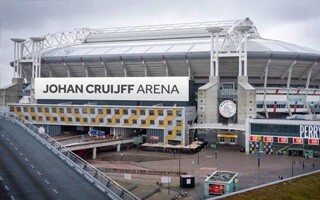 Meanwhile, the eastern expansion is reaching final phase, changing the appearance of what is now Johan Cruijff ArenA. 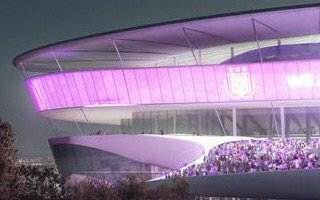 Ghelamco revealed their plan to accommodate Anderlecht's wishes by reducing capacity after Euro 2020. The simplified design should also take less time to build. 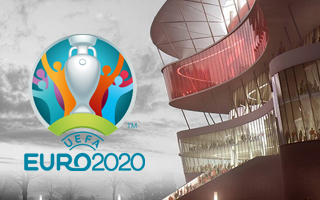 They only have 2 months to prove that Brussels can indeed host games of Euro 2020. If they fail, UEFA will take away hosting rights from Belgium. It would be the first such case. While a new giant screen flies up to the roof, TSV 1860 are preparing to leave their despised home. 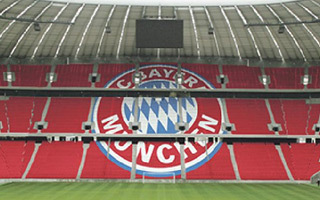 Bayern won't mind, they plan further expansion and improvements. 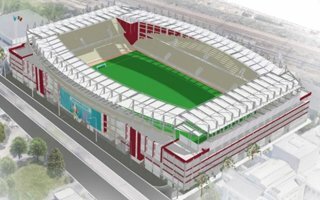 28.04.2017 Brussels: Change of fate for Eurostadium after all? The Flemish Brabant executive decided that road no. 3 can be demolished without consequence. 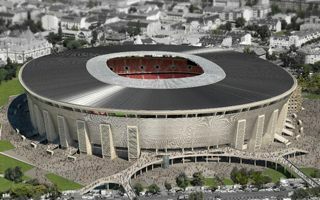 This again opens up possibility for new national stadium to be built in time for Euro 2020. 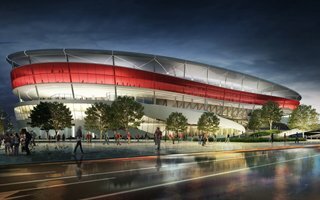 Hungarian prime minister himself will make sure that new national stadium is built in time to safely host Euro 2020. It’s a matter of national prestige for Hungary. 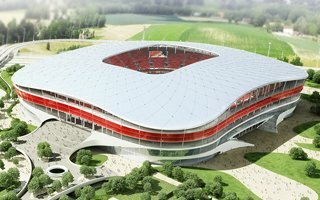 New national stadium of Hungary is officially contracted, we should see groundbreaking within days rather than weeks. 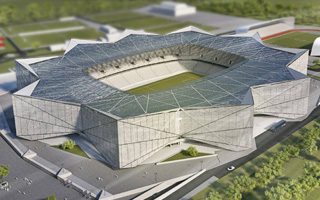 Especially with limited time for delivery of this Euro 2020 venue.